While I haven't had time to get much done I've somehow carved out enough space in my brain to obsess over a few things. Part of me knows I've got to move on, while another part of me can't let go until I completely wear out my love for this stuff. 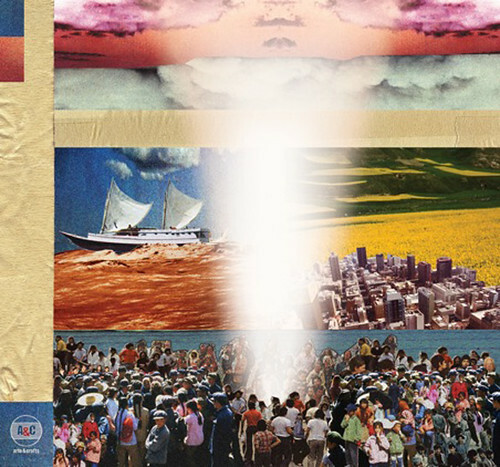 Broken Social Scene's "Sweetest Kill". The artwork (above) is pretty great too. Trailer Park Boys on Netflix. I'm not sure how we stumbled upon this, but it's been a favorite since. We're even going to their live performance next month. What that will consist of I have no idea. I'm pretty sure I can count on thick Canadian accents, kitty talk, and cocktails in hand. Search of the Day. My new job has me diving into the world wide web deeper than I've gone before. As my new mission carries on I discovered this site by a co-worker. It highlights some of the dumbest things that people search the internet for. This guy's posters on Ebay. Don't buy them. When I win the lottery they will all be mine. Making a wall like this in the bedroom.